The KJUS Downforce Ski Jacket is designed to look and feel better than any other jacket on the mountain. The precise cut accentuates the shoulders and slims the waist, making you look like the hero you are. The 4-way-stretch fabric offers 20K waterproofing with cranked up 24K breathability. If that doesn't prove sufficient, the AC-Vent™ system delivers surefire cooling. The extensive features list includes a built-in neck gaiter, two-step eyewear cleaning bag and detachable hood. "Two questions: 1. Is the Dark Dusk color the model with the green lines or the orange? 2. If the Dark Dusk has the green lines, is the green the same tone as the Formula Ski Pants color BTGRN? 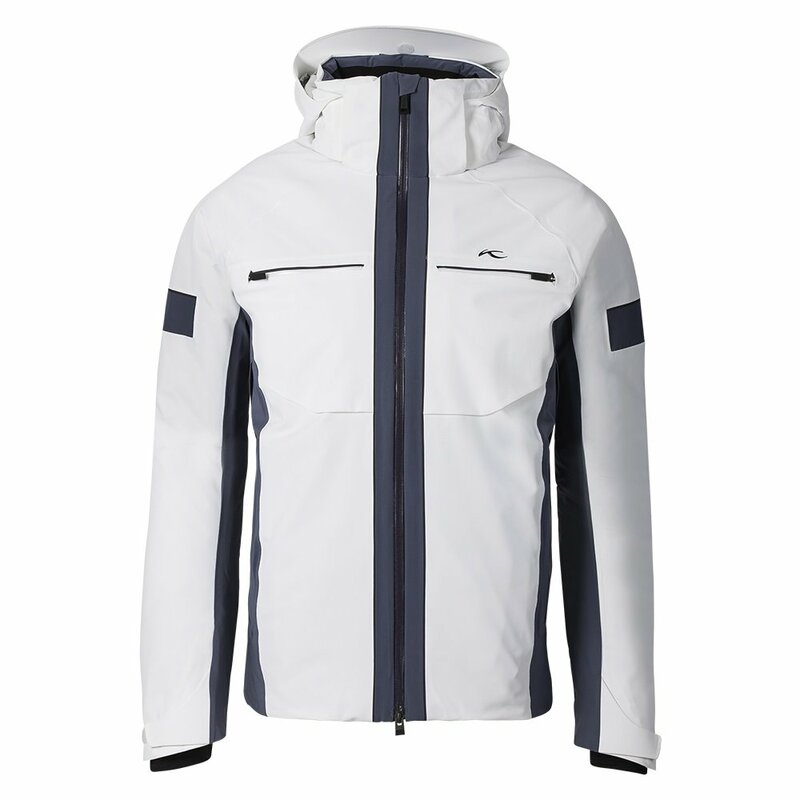 I have the formula ski pants color btgrn and want to match it with this jacket, Downforce ski jacket dark dusk. Please confirm"
"Thank you for your inquiry. The "Dark Dusk" is the jacket shown with the bright green design. Unfortunately, We do not have the Formula Ski Pants color BTGRN to compare the colors but since they are both KJUS they will most likely be compatible. We hope this information helps! "